Compete to Win Real Prizes! Due to technical issues Weeks 1 & 2 of Bass Pro Shops – The Strike Tournament Challenge will be rescheduled for a later date. Please check back here for official dates. Congratulations to Mirrer B. from Montana for winning the Grand Prize of a $1000 Cabela’s Gift Card in Week 2 of the Cabela’s: The Hunt Tournament Challenge! 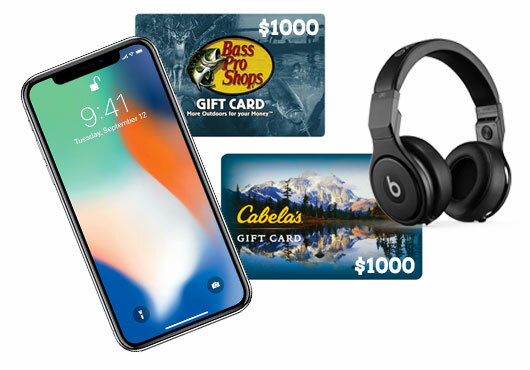 Congratulations to Richard K. from Ohio for winning the Grand Prize of a $1000 Cabela’s Gift Card in Week 1 of the Cabela’s: The Hunt Tournament Challenge! REMINDER THAT WINNERS must contact Planet Entertainment at contact@planetent.co from the email used to register for the Tournament to verify their eligibility. New locations and challenges every week! Leaderboard for your chance to win. I certify that the information provided is true and I am a US resident.